1. DO YOUR RESEARCH. After the proposal, or agreement, on a wedding date, start doing your research. The internet already allows for speedy gathering and consolidation of information, rates, pictures, etc. No, you're not going to book suppliers just yet. But before planning your wedding, you have to have a pretty good idea of how much major items cost so that you and your beau can plan your wedding with a more REALISTIC budget. At least, you are also forewarned that invitations can cost a lot now, depending on the design, or that people actually use Save-the-Date cards now, which you can create on your own. 2. ATTEND BRIDAL FAIRS AND EXPOS. Again, this is only to arm you with information on the latest trends. Some suppliers in such shows also do a mock set-up which will also allow you to envision a THEME for your wedding. 3. TALK ABOUT THE WEDDING DETAILS. Ask yourselves important questions such as, "Does your chosen date fall during the rainy season? What things are MUST-HAVES? What things are you willing to scrimp on? How do you envision your wedding? Will there be many guests? What are they wearing? Will you need luminaries? Will a CD for the reception do?" Etc. 4. ARM YOURSELF WITH LISTS AND PICTURES. Cut pictures from magazines. Consolidate list of poses and songs. Draw designs if you can. Try to avoid gray areas by just describing what you want. This way, it will be easier for a prospective supplier to give you accurate estimates/quotations for what you want, as well as deliver what you thought you ordered. 6. INTERVIEW SUPPLIERS. Armed with ideas, pictures and budget limitations, start interviewing prospective suppliers. 7. TAKE REFERRALS AND SUPPLIERS' REVIEWS WITH A GRAIN OF SALT. Note consistent complaints while also making sure that you spell out everything with a supplier before booking him/her. Sometimes, some suppliers are just really unprofessional. Sometimes, the negative comments actually were a result of overly-exacting couples with unrealistic expectations (e.g. do not expect 2 dozens of tulips for only P300). Miscommunication can also happen, and it's the bride/groom's responsibility to make sure they are getting their money's worth... unless they paid coordinators to do it. 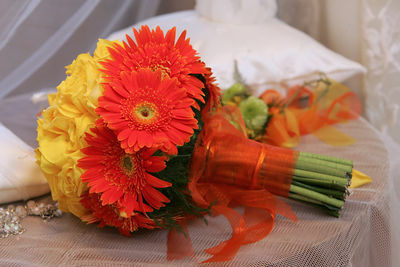 And even with wedding planners, you still have to be vigilant about details. 8. BE VIGILANT ABOUT DETAILS. Not exactly encouraging compulsion, going over your lists time and again and making follow-ups, while also repeating agreements before with suppliers will help you, and your supplier to remember better. Note everything down. Add addendums to contracts for your specifications. Be clear with the look you want, and the overall effect you're after, and not how perfect each item/aspect should be. 9. KEEP IT SIMPLE Sure, you can have the Moroccan wedding you want... but make sure it's something you'd still appreciate 5 years down the line. And even with themed weddings, make sure no activity is overly-elaborate that will only just leave you distressed or worried (e.g. will this really big crown of flowers fall off my head?). Remember, you and your guests are there to have fun. 10. DO NOT OVERDO YOUR THEME. Whatever your theme is, just choose certain aspects in which to feature the theme (e.g. butterflies shall appear on your invites, flower girls' wings and cake, but not on everything where you can put them). 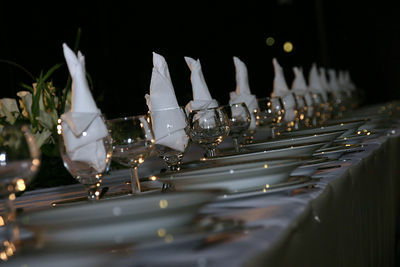 Guests will appreciate it all the more, it will save you on costs, and there'd be less detail you'd be worrying about. 11. RESEARCH YOUR WEDDING GOWN STYLE. Ask yourself, what silhouette or dress type has always flattered you best? Just because most brides march in strapless gowns does not mean you should too. And just because you want to be different shouldn't find you in boleros that do not really flatter your build. Play up your strengths/assets and hide (if you can) what must be hidden. 12. TUNE IN. Flip through your CD collection for ideas for your wedding ceremony/reception. Are there songs that you really love playing? Is there a movie soundtrack close to your heart? This will help you to envision the mood you want to create for your own wedding. 13. CONSIDER FAMILY/PERSONAL HISTORY. 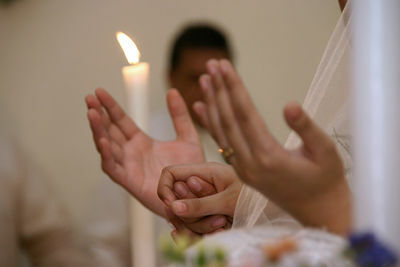 Your family history and personality will help you in coming up with personal, unique touches for your wedding elements. Include a dish you're renowned for, use pictures of happy couples in your family, use/modify designs of grandmothers and aunts' wedding gowns or bridesmaid dresses or wedding rings, give away recipes of the first thing you cooked/baked as a child. Go over your history as a couple, and incorporate some things (dish you tried on your first date, the first poem he ever gave you, etc) in your wedding. Note cards telling stories of your childhood, your hobbies or your courtship will also add intimacy to your wedding without requiring much effort. 14. MAKE YOUR SUPPLIERS YOUR FRIENDS. Do not antagonize them until you really have to. Choose your words and modify your approach. It doesn't mean to say that you should forget that they should also please you, but be careful not to treat them as hired help. Call them at reasonable hours. Be considerate. Be nice. Always remember to say your "thank you's". Explain why certain things have to be a certain way so they'd know if it's really a nice idea or you're just being difficult/eccentric. 15. 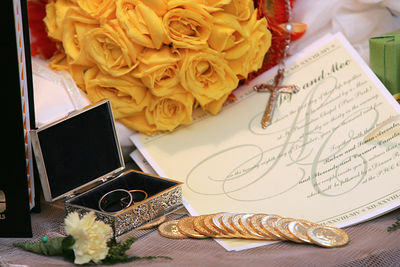 CONSIDER EXTRA COSTS OF DESTINATION WEDDINGS Even if you plan an intimate, out-of-town affair, you'd still be exerting a lot in terms of effort (going back and forth to conduct inspections, submit requirements, pay deposits and show around other suppliers) and money (transport costs and out-of-town charges by suppliers). So unless you have the time, money and attitude for the tasks ahead, forego the wedding by the beach if you live nowhere near it. 16. MAKE FLEA MARKETS AND BAZAARS YOUR WEEKEND JAUNT. When you don't really have anything planned, walk the length of these places for cheap giveaways or ideas. Not only will the experience give you bonding time, you'd also have a better view of each other's limits (hot and crowded places are stressful) and a clearer view of what each other wants where wedding elements are concerned. Plus, it is exercise you can benefit from. 17. DON'T BORE THE GUESTS. A 2-hour reception ceremony is usually the max before some of your guests start impolitely leaving. And the 2 hours already include picture-taking, toasts, performances, speeches, thank-you's and meals. If you must, just include one sentimental ritual into the program but don't try making it into the Guinness Book of World Records for "most unique ceremony program". There can be dancing and merrymaking after the usual program, after the couple has thanked everyone who came. Speeches and testimonials and special performances by friends and relatives and other inebriated guests may be done while the guests are eating. They're more likely to applaud (politely) with mouths full rather than when they're already on the road anyway. The objective is for people to still be around when you cut your cake. Be creative and add personal touches some other way. Also, make sure you get reliable emcees that can entertain your guests and also remind them (sweetly) to stay for the other parts of the program. 18. GET DANCE INSTRUCTORS. If you expect guests to dance, from oldie guests who partied hard in the 70s or friends who haunt clubs, hire professionals who can start the party for you. If your dancing friends are none too shy to initiate dancing with strangers, ask them to do this favor for you. This would maximize the venue rental and sound system, and also entertain your guests as you rest your feet. Just make sure you don't end up with gigolos and ladies in skimpy outfits for DIs though. 19. MAKE SURE THERE IS ONLY ONE GUEST LIST AND SEAT PLAN. But make sure that many people are armed with copies of these. Do not ever let the groom's side have a separate seating arrangement, expecting guests you didn't even know was invited. 20. FEED YOUR SUPPLIERS. That might just spell the difference between excellent service and headaches. 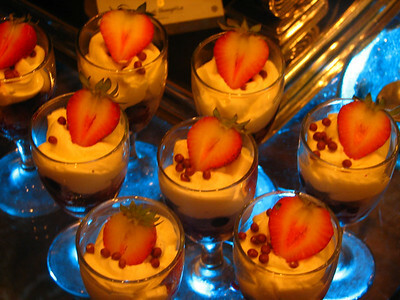 They need not necessarily eat off the buffet table your guests are enjoying but snacks and meals should be provided to them to keep them happy.